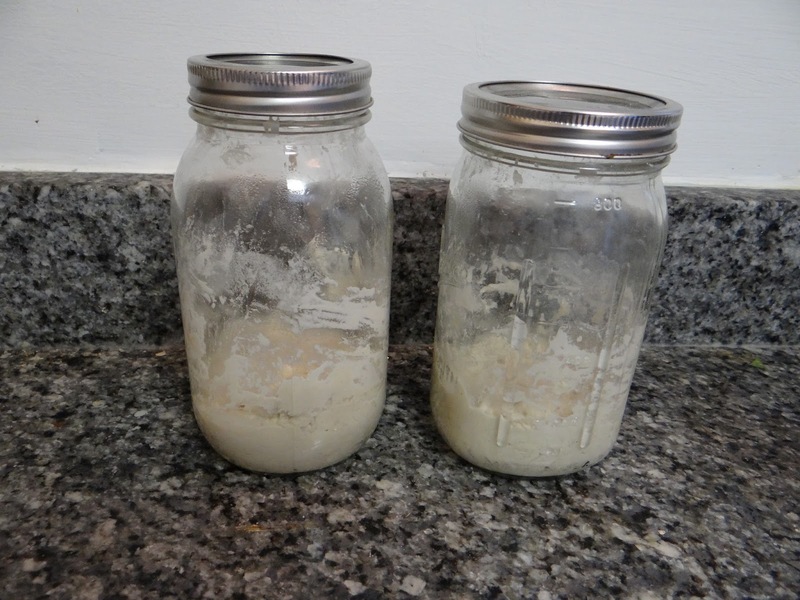 I’m so excited to share with you the science behind sourdough starter! It can be a bit intimidating at first, but baking with sourdough isn’t hard at all. The taste is worth the added effort. 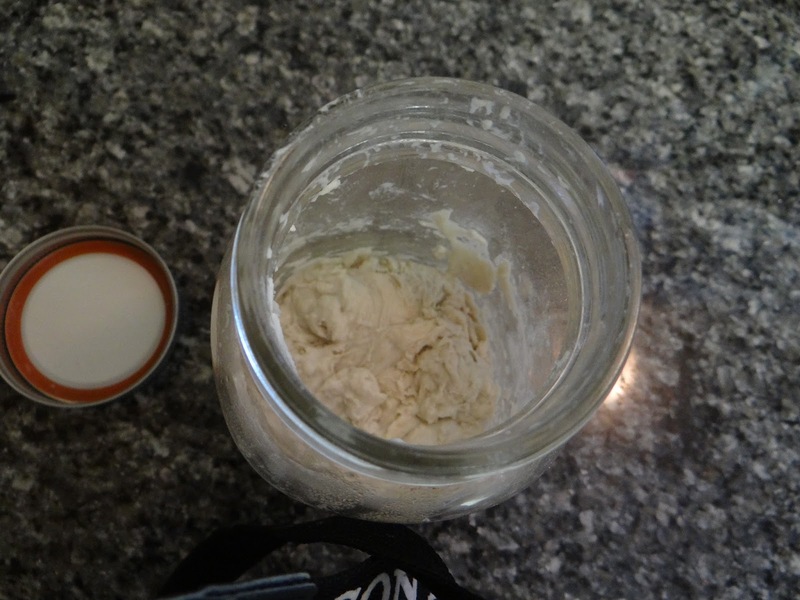 Feel free to check out my recipe for making your own sourdough starter and a simple sourdough recipe. 2. Why is it called SOURdough when it’s not sour? 3. Why do I have to feed it? 4. Why do I have to discard most of the starter each time I feed it? 5. 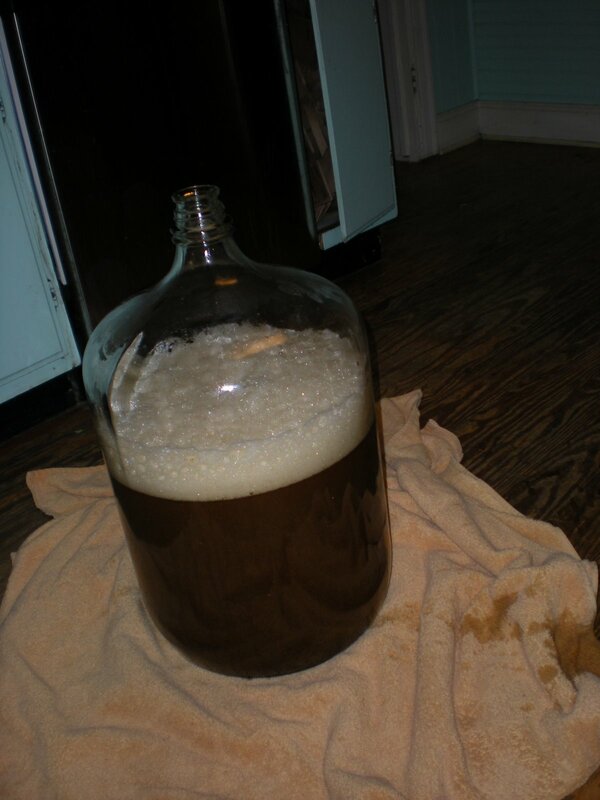 How do I know when my starter is ready to use? 6. What do I do with it? How can I convert a recipe that uses commercial yeast to one that uses starter? 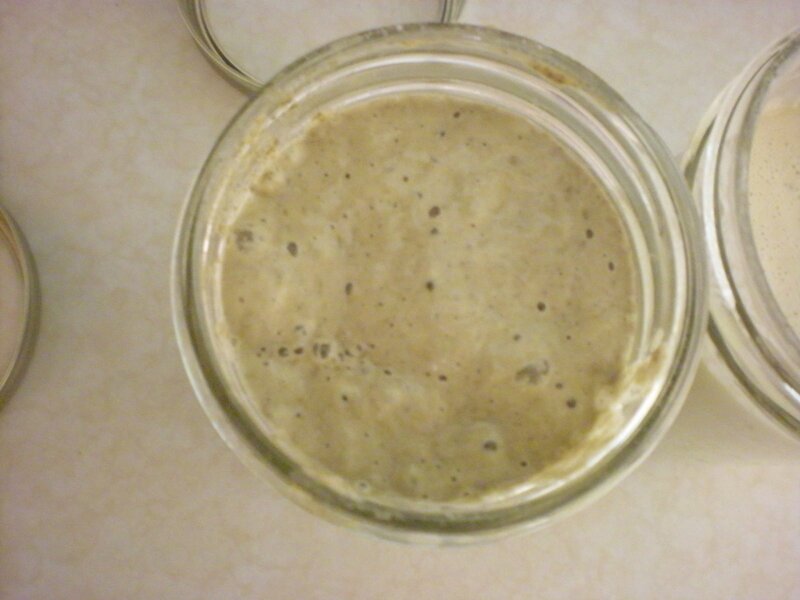 Starter is known by several names – mother, poolish, levain, pre-ferment. It’s basically a mixture of flour and water that provides food and a place for natural yeasts and lactobacilli to eat and reproduce. Yeast and lactobacilli release carbon dioxide which causes bread dough to rise. The most common yeast found in sourdough is Saccharomyces Cerevisiae (Latin scholars will note Cerevisiae means beer, indicating that the first yeasts may have been discovered first for brewing and later in bread). The most famous lactobacillis is L. sanfranciscensis, which gives sourdough in San Francisco its strong flavor. 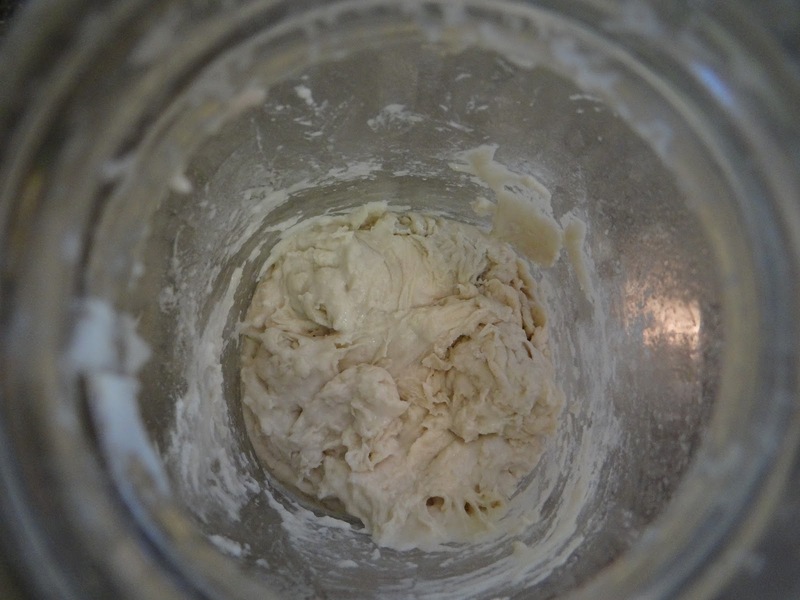 It depends – some sourdough starters are sour! The lactobacilli release lactic acid which gives sourdough its characteristic taste. Starters become more sour over time, and the longer you go between feedings the sourer (?) it will become. If you are actively feeding and discarding the starter frequently, it will not taste as sour. 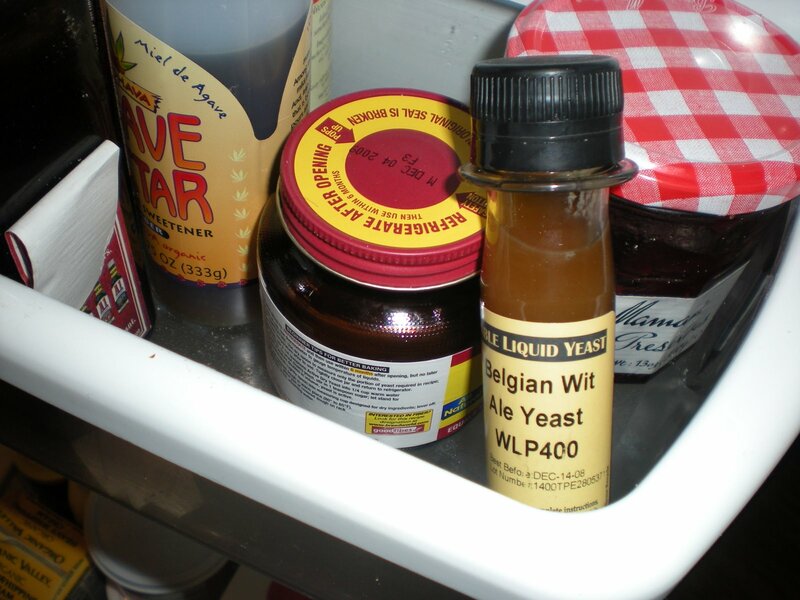 Yeast is alive — and to stay that way, it needs to eat! What does it eat? Flour, and you mix it in ratio with water. The hydration of your starter can be anywhere from stiff (66% water to flour ratio) to watery (100% ratio water and flour) The frequency of feedings depends on how often you will be using your starter. If you plan on baking a loaf or two every few days, your starter can sit on your counter and you will need to feed it every day. If you don’t bake that much, you can store your starter in the fridge and feed it once a week. If you know you plan to bake with it soon, you will need to revive your starter from its fridge dormancy for a few days before it will be active enough to use again. 4. Why do I have to discard most of the starter each time I feed it? It feels so wasteful! The yeast organisms need something to eat, and as they eat they reproduce, eventually filling your flour and water mixture with yeast. Flour has both sugars (carbohydrates) and protein (glutenin and gliadin) in it. The carbohydrates give the yeast something to eat, and the proteins provide the net to capture the carbon dioxide released by the yeast and cause the dough to rise. If the yeast get too numerous, they will run out of sugars to eat. They will start eating the protein strands instead, which is disastrous for your bread! Once the yeast have converted to eating protein, your bread will always turn to mush and never form the gluten net. 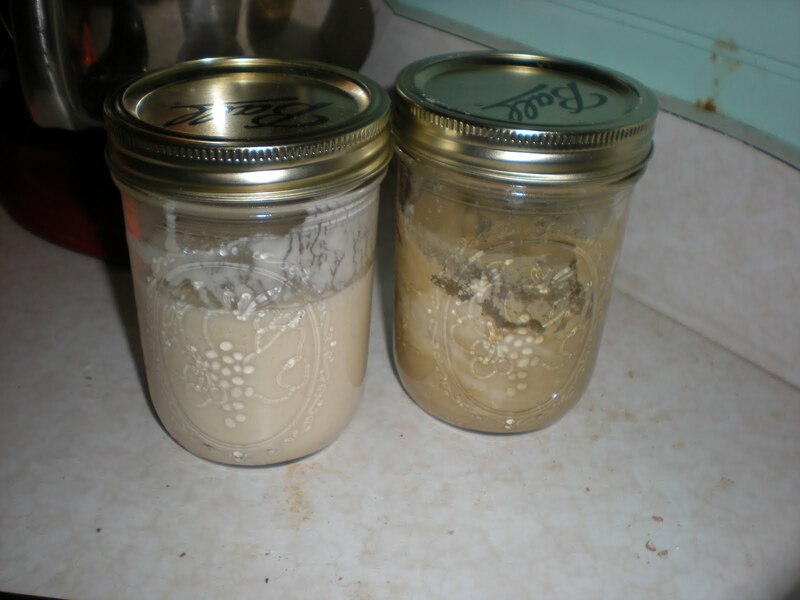 By discarding most of your starter before you feed it, that will prevent the yeast from getting too numerous and eating up all the carbohydrates. If you’re worried about wasting all that flour and water, you can still use the discarded starter in other recipes to add flavor. You just won’t be able to rely on it for its leavening properties. King Arthur flour (not an ad) has some ideas for using up discarded starter here. You will know it’s ready to use when it’s very bubbly and visibly rises in the twelve hours (or sooner) after a feeding. Sometimes it’s easy to tell the starter is ready – when you try to open the lid of the jar you use, there will be pressure released from all the carbon dioxide building up inside. 6. How do I use starter? How do I convert recipes that use commercial yeast to use sourdough starter instead? Here is where bread math comes in! For most recipes, it is very easy to swap sourdough for commercial yeast. Where you DON’T want to do this is in very sweet and enriched breads; the sourdough can give a sweet bread an “off” or stale taste. I’ve also found that when I make the small pieces of bread for communion, sourdough tastes stale. By keeping the ingredients spare, you will allow the sourdough flavor to shine through. My 1-2-3 sourdough is perfect for this. 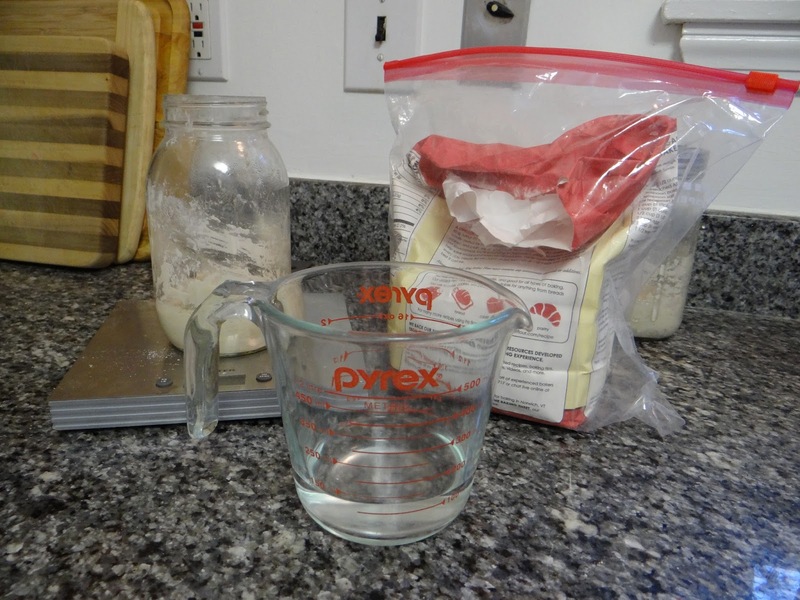 By feeding the starter 100g of flour and 75g of water, you have made a 75% hydration starter. This might be just fine for a dough that is 65-80% hydration. You can just add a 1/2 cup of starter and you’ll be good to go. But if you are looking to make a bread that requires a very wet dough, such as a ciabatta, you will want to calibrate your dough so the final dough will be the hydration you want. Say you want your final dough to be 100% hydration, but your starter is 75% hydration. 2) how much extra flour and water you need to add to your starter to get a dough that is 100% hydration. An average bread will weigh about 750g. If that’s the case, a 100% hydration dough will have (minus 9g of salt) equal weights of water and flour. So that’s about 370g of water and 370g of flour TOTAL, including the flour and water in the starter. so you need to figure out how much water and flour to add to your 75% hydration starter to get a final loaf that is 100% hydration. Add them up, and you get a total of 100%+75%= 175%. 125g of starter = 71.4g of flour + 53.5g of water. 2) Now that we know the weight of the flour and water in the starter, it’s a simple subtraction problem to figure out how much flour and water to add to the dough to get a final dough that is 750g and 100% hydration. And we will have our 100% hydration loaf! Whew! I hope you found this post helpful… or at least not too terrible! I’ll try to follow this up with a recipe post to give your brain a break. Thanks for staying with me to the end.